Amala also touches upon the pressure of the race which the entertainment industry brings on a celebrity and how they suffer in order to cope up with it. Veteran actor Amala Akkineni penned down a heartfelt letter pointing out few things about the media scrutiny and the way things are dissected when it comes to a celebrity. This comes after the sudden demise of actor Sridevi and the way few sections in the media handled the reportage of the events post her demise. 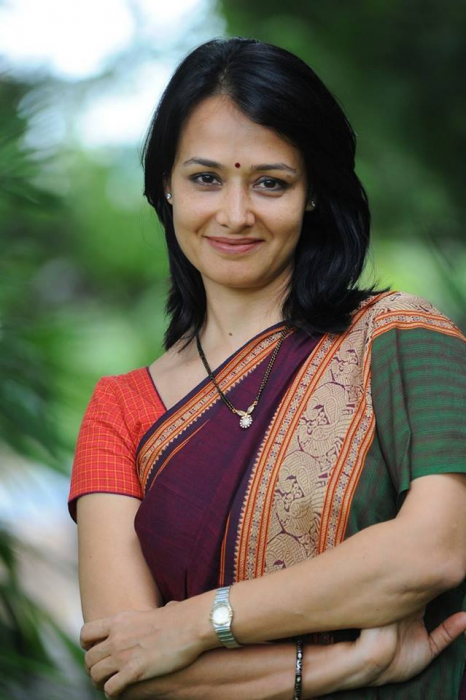 “Will you let me age gracefully?” Amala Akkineni starts with this question and pointing out few other things which, not just the media but also the society, are looked at. “Will you let me age gracefully without needing to comment on how tired I look or the weight I have gained? The shadows under my eyes are from reading glass lines and freckles change to age spots everyday,” she continues. “Will you let me stop colouring my hair, let me wear it short, without referring to my long tresses in Pushpak, at 19?” is her next question which makes a reader think about the perceptions we have as a common man. Amala hints at the way few sections of the media approached the analysis of Sridevi’s death and went to the extent of using a computer generated graphic image pf Sridevi in a bathtub to illustrate it. Amala also touches upon the pressure of the race which the entertainment industry brings on a celebrity and how they suffer in order to cope up with it. “Will you free me of the box office madness, the TRP wars, Page 3, the likes, the comments, the traps that menacingly surround everything we do? You have caught me in a time warp, a cage of fame, while my spirit is free. Allow me a life, some privacy, t engage with humanity and the universe, with purpose, truth, compassion and some respect for those now gone,” she concludes her open letter leaving readers with striking thoughts. “Will you let me age gracefully? She has always been a big time hypocrite…uses the media all the time to stay in news for blue cross, now why complain? And media has been kind to her and her looks always. Excellent Amala!! Get a life everyone!! Thank you Amala madam for writing such a strong message..Not just applicable to just media..normal people post here on PV as well..Way too judgemental about how a woman looks like…All sort of shaming even without an ounce of remorse is alarming…People should think thank God for health and move on…picking on smallest of flaws in the larger scheme of life is silly.The over indulgence of media on looks particulary about actresses which ultimately force them to do artificial methods and then mock them for going for the artifical method..The whole thing looks like an infinite loop..For once treat them like normal human…because at the end of the day they are also human like you or me…And they feel bad when others judge them without knowing the reality…Thank you Amala madam,thank you PV.